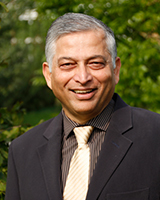 Mr Shyamal Majumdar was appointed as the Head of the UNESCO-UNEVOC International Centre for Technical and Vocational Education and Training in May 2011. Prior to taking up the position at UNESCO-UNEVOC, he served as the Director General of the Colombo Plan Staff College for Technician Education (CPSC), an inter-governmental organization for human resources development in the Asia-Pacific Region based in Manila, Philippines. to conduct a variety of programmes and projects in the education sector. Mr Majumdar also used to be a Professor and Head of the Computer Science and Engineering Department at the National Institute of Technical Teachers Training and Research (NITTTR) in Kolkata, India, where he originally comes from. He holds a Bachelor's degree in electronics and communication engineering, a Master's degree in telecommunications engineering, and Ph.D. in educational computing. Mr Majumdar has published more than 100 research papers and was engaged in more than 20 book publications, editorial assignments, and chapter contributions published by various national and international organizations. He was commissioned to write a book on Workforce Development in India: Policies and Practices, which was published in 2009 by the Asian Development Bank Institute and the Regional Guideline on Pedagogy and Technical Integration, which was initiated by UNESCO Bangkok. His most recent work was editing a book on Emerging Trends and Challenges in TVET in Asia-Pacific Region, which was published internationally by Sense Publishers Ltd. in 2010. Mr Majumdar has received various international awards for his contributions to TVET, including the International Partnership Award from UNESCO-UNEVOC, the TVET Leadership and Quality Award from CPSC, as well as the Valued Supporter Award from IVETA. He has also received 40 international and national citations and certifications of appreciation and recognition for professional and academic contributions and engagements in personal and professional capacities, for example from the President of the American Vocational Education and Research Association (AVERA), the President of the International Vocational Education and Training Association (IVETA), the former Director of UNESCO-UNEVOC, the President of the HRD Service of Korea, the Director of the Southeast Asian Ministers of Education Organization (SEAMEO) Secretariat and various countries.